Kids' Station Children's Museum: Reminder, tomorrow is Science Tuesday! Reminder, tomorrow is Science Tuesday! 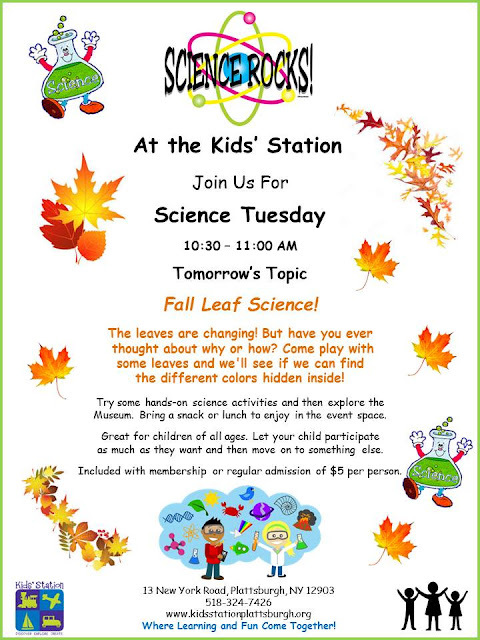 Join us tomorrow for Science Tuesday! Good News! We can now process credit cards!